Gwin was a busy place back in its heyday. 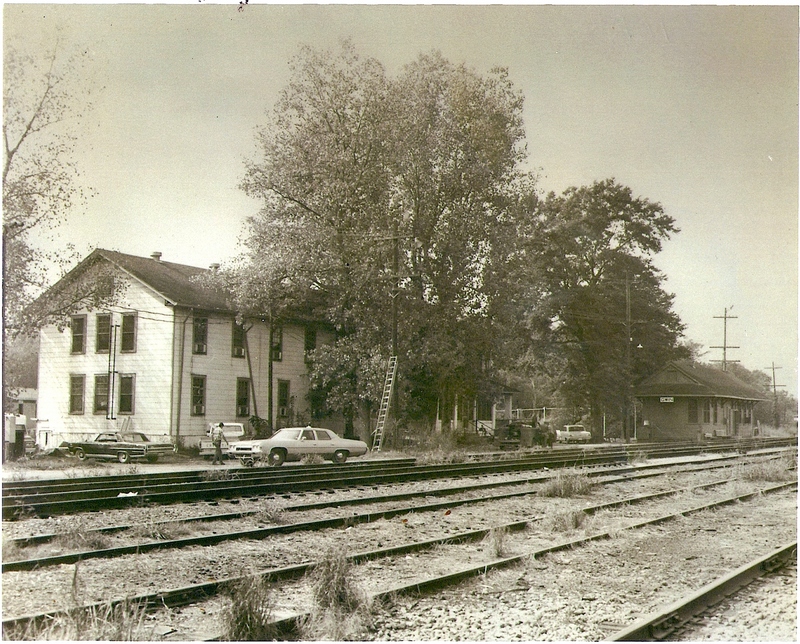 This picture from the late sixties shows the depot and the hotel for road crews. The automobiles in the picture are a 1968 Chevrolet Bel Air and a 1964 Pontiac GTO. Judging by the ladder against the pole and the service truck it appears that the communications department is doing some work. 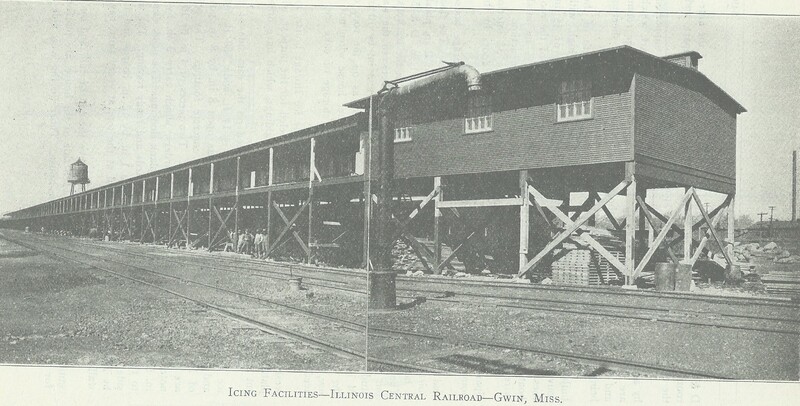 At one time there was an icing platform at gwin. For more information on the ice platform CLICK HERE.